I was looking for this posting this morning in order to show it to a friend, when I discovered that it didn’t exist. I thought I’d posted it ages ago. The material here comes from a notebook entry that I wrote in August 2007, to record some observations before their novelty wore off. I can submerge myself in the bath. No longer must I decide which bits to leave sticking out of the water. My flexibility has increased (despite not having done any exercises to improve it): I can curl my legs up underneath me on the sofa, for example, and it is much easier to wriggle on and off the bed in the boat. My ability to deal with heights – to balance on ladders, etc – has improved (though it’ll never be great in comparison with that of the rest of the population). I noticed this first when going up the ladder to the loft to try and find some old clothes that would fit me. It’s also very noticeable when boating, and helps a lot. My bone-structure has come into focus. Running my hand over my face is interesting – the jawline, in particular. I have quite a nice facial bone-structure, it turns out. It seems to be quite delicate: the kind of face that looks best with light, delicate jewellery. Wearing jewellery, especially necklaces, is fun again! Some of them simply didn’t fit at all before, and some didn’t look right. Some of the chains now need shortening, in fact. My thighs no longer brush against each other when I walk (this was a new and exciting observation in the third week of August). It felt odd at first, rather as if I were walking with my legs held wide apart. My wedding and engagement rings, once so tight that removing them was only possible with the help of cold water, had become so loose that they were in danger of falling off. I was able to remove them by shaking my hand a bit. I spent that month wearing an elastic band around my finger to keep my rings safe, and took them to the jeweller in September to have them made four sizes smaller. Another clue to the difference in cultures might be the lack of attention to safety precautions on the city’s many building sites. Andrew has noticed builders on scaffolding without hats, and items being lifted and lowered with no safety barriers, while pedestrians walk beneath—not just on one site, but generally. Is this (I speculate) another facet of the same basic attitude that gives rise to the existence of the coffee shops and the prostitution? If I were younger I would start asking at this point “and is it a good or a bad thing?” But these days I don’t think in those terms nearly so much. It’s an interesting thing, that’s all. It gives rise to some consequences that are probably good, and some others that are undesirable. On balance, would I choose to live with it or not? I’m not sure. My answer might depend on how lucky I was feeling when you asked me. My optimistic self would find it refreshing. My pessimistic self might be scared. Or reading, either, in fact. I’ve been in a state of transition, and I don’t find such states conducive to processing much in the way of input, or to producing much in the way of output. I now have the impression (though only time will tell whether I’m right about it) that smoother water lies ahead. This might be a good time to start the blog again. Let’s see. I’ve been reading, with great pleasure, French women don’t get fat. It’s a supremely elegant book, both in content and in presentation – and inspiring, too. Actually I bought my copy several months ago but couldn’t get through it then. It seemed to be promoting an ideal that was so far out of my reach as to be depressing even to think about. Not in the least inspiring. Now it is different: I’m most of the way through my weight-loss program (with 16.8 Kg gone at the last count, obesity already a thing of the past, and entry into the ‘healthy’ range – BMI 20–25 – anticipated later this week) and am thinking hard about my future relationship with food. The book is a delightful companion on this part of the journey, and has already given rise to several pages of my notebook covered with new ideas for ways of living differently and better. People who are tagged write a blog post about their own 8 random things, and post these rules. At the end of your post you need to tag 8 people and include their names. Don’t forget to leave them a comment and tell them they’re tagged, and to read your blog. If you fail to do this within eight hours, you will not reach Third Series or attain your most precious goals for at least two more lifetimes. I’m not a night owl any more. Maybe I never was, really. I wake early (around the summer solstice, very early indeed) and am most active early in the day. I haven’t been on an aeroplane since December 2005. I’ve lost about 12kg of body fat in the past 7 weeks. (It’s OK, don’t worry! I needed to lose it, it’s a medically-supervised programme, my doctor approves, and I feel much better for it). Tomorrow is our tenth wedding anniversary. 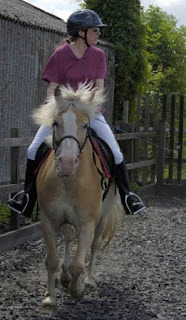 I owned a horse for a while, a few years ago. It didn’t work out well. It was a learning experience. I’m scared of heights. It’s a problem when boating sometimes (especially when negotiating deep locks). I visit Venice most years, usually by train (the night train from Paris is best). I mean the Venice in Italy, of course, not the one in California. I’m editing this post to remove people from the list if they don’t want to play. My original 8 is now already down to 7! While dramatic floods are causing mayhem in the rest of the country, all there is to report from our stretch of riverbank is … a cow in the water. There is much very localised excitement. I called out the Pindar, who turned up half an hour ago with a rope but is waiting for his team. Meanwhile the cow has got itself out of the river and is grazing on our neighbour’s back garden – which would be fine except that the only way back to where it’s supposed to be is via the road.